We’re 3 weeks away from the One of the most anticipated UFC fights – Conor McGregor vs Khabib Nurmagomedov. 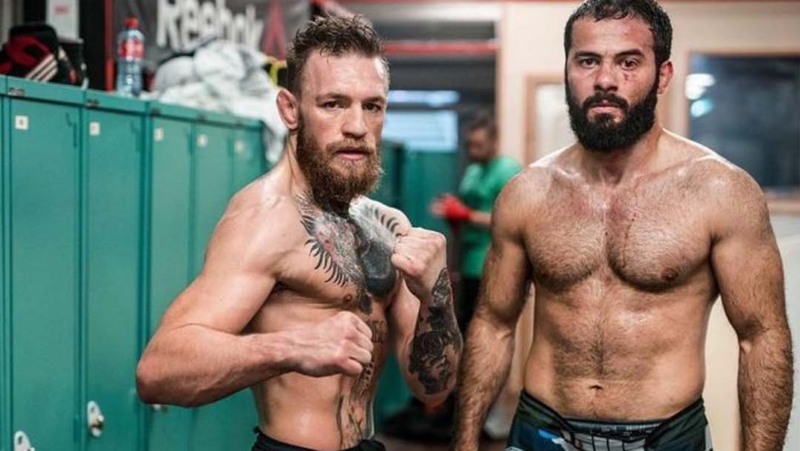 As it turns out Dillon Danis wasn’t enough for Conor so he brought down another beastly jiu jitsu man to help make sure he can handle Khabib. The man in question is Ayub Magomadov, a native of Chechnya. Student of Alexandre “Gigi” Paiva was invited to put pressure on Conor and simulate the undefeated Dagestani in MMA. I have true respect for the Vainakh soldier. Always be aware that when respect is given out of fear, it is fake. It is the cowards safest first step towards treason. When land is on the line, there are no limits. So there must be no hesitation. Stand strong and stay ruthless! Thank you, Ayub. Proper fighting. With @coach_kavanagh . I have read his book first , after that, I saw everything I read in the real life . Great example of the person who has made himself through the hard work and sacrifice. Thanks for having me in @sbgireland .